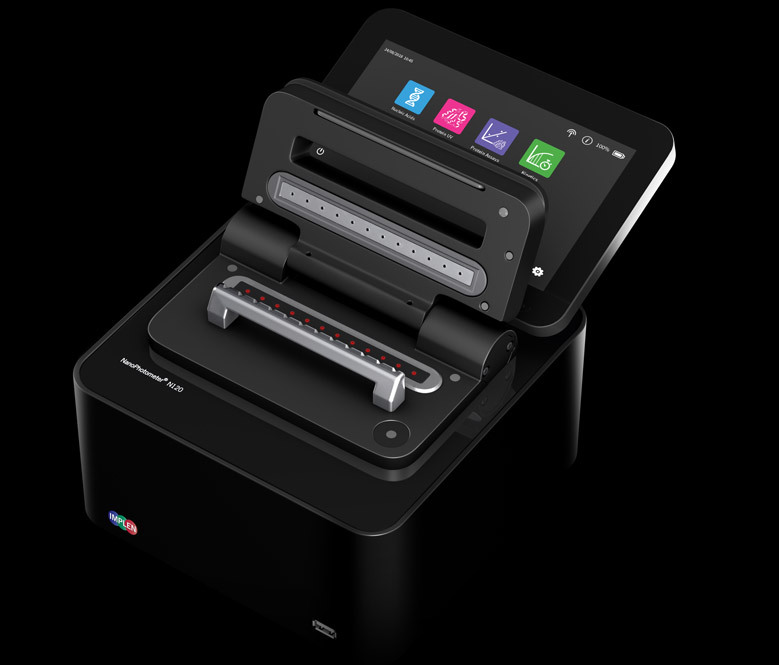 With full scan capability range from 200 - 900 nm for rapid and complete sample analysis in as little as 1.7 seconds per sample, the NanoPhotometer® N120 record breaking design will exceed expectations. 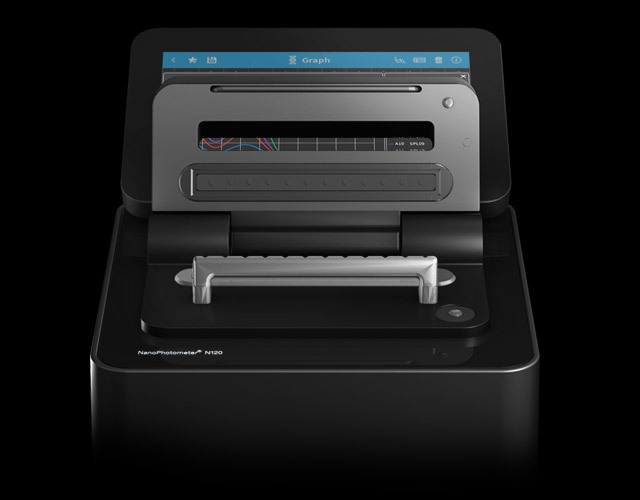 Measure 96 samples up to 126 times faster with 33% less operational steps required when compared to other scanning measurement methods like e.g. microplate readers. In addition to saving hands-on time with the one step Auto Sample Feature, you attain detailed information for each sample – including full high resolution scan results along with sample purity ratios. Save valuable bench space. An integrated computer with an Intel Celeron Processor and 128 GB of SSD data storage eliminates the need for a dedicated external computer. 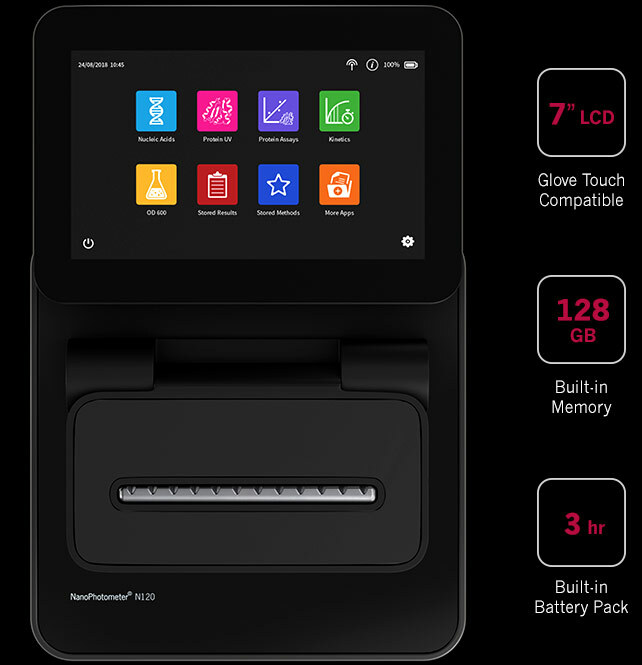 The compact, all-in-one design including a 7’’ glove compatible touch display and a built-in battery pack significantly reduces the bench top footprint of the device. 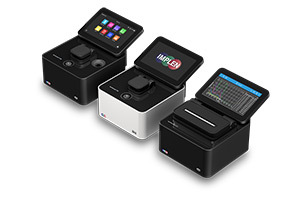 Multi sample spectroscopy can now be taken under a laminar flow hood/clean bench, shared between labs or out into the field. For over a decade prestigious biological, chemical and pharmaceutical companies, as well as research organizations around the globe have relied on Implen spectrophotometers. 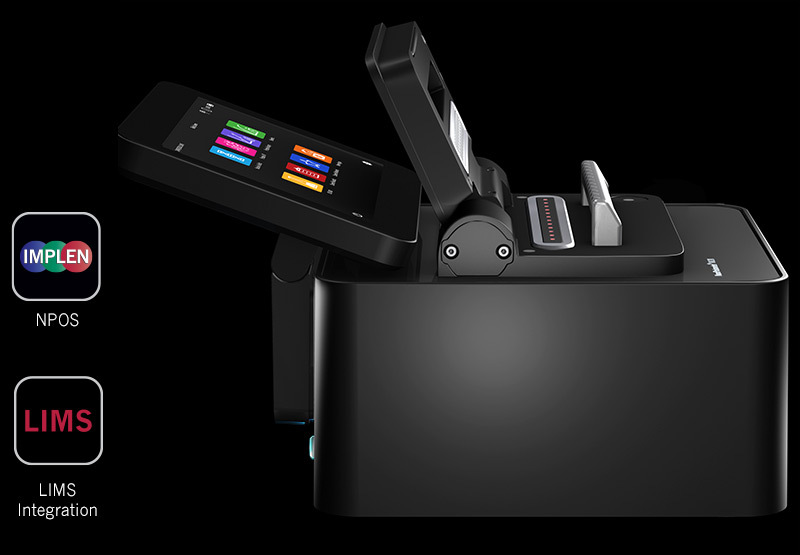 The NanoPhotometer® is the most innovative line of microvolume UV/Vis spectrophotometers – cited by thousands of scientific publications worldwide. 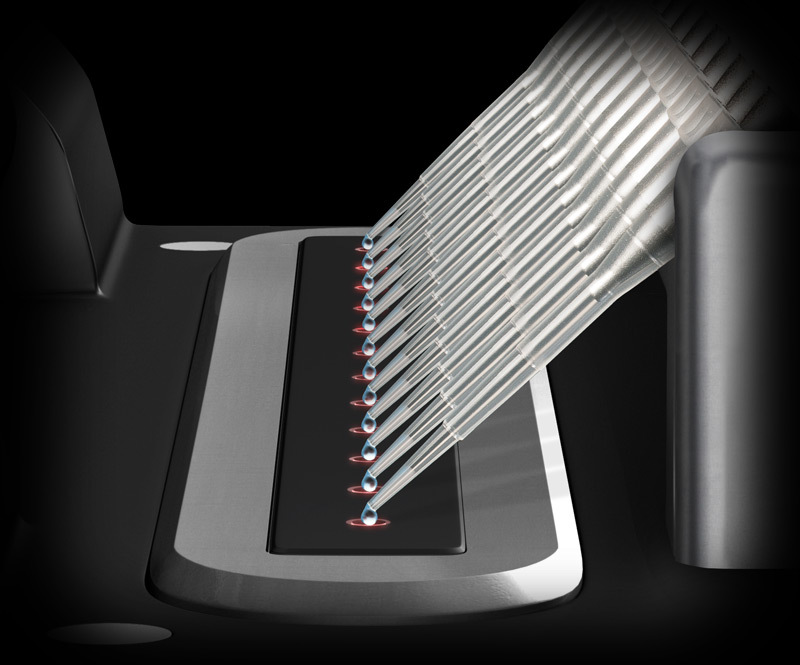 The NanoPhotometer® N120 features our unique and proprietary 12 Point Technology™ which consists of several positioning guides for single and multi-channel pipettes. Patented illuminated sample windows and animated sample processing grid ensures convenient and error free sample application. The design is compatible with various multi-channel pipettes and supports the user while positioning the tips on the sample windows. Smooth quartz glass surfaces provide straightforward cleaning. 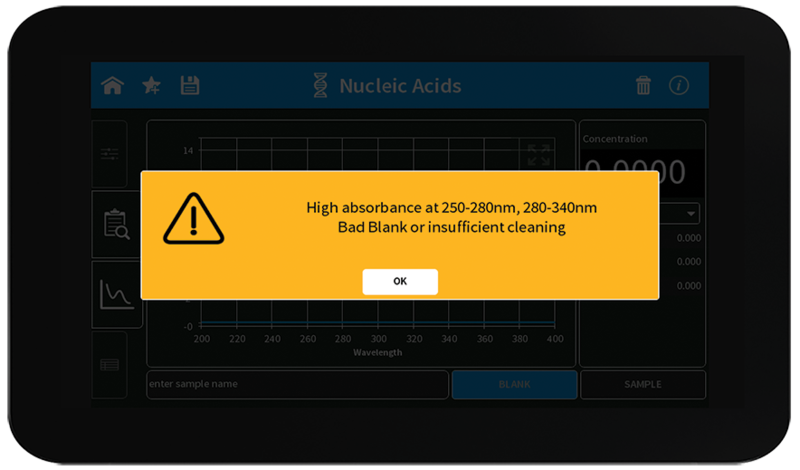 Feel confident your instrument is clean with integrated warnings that alert users of dirty sample surfaces, fingerprints or lint. 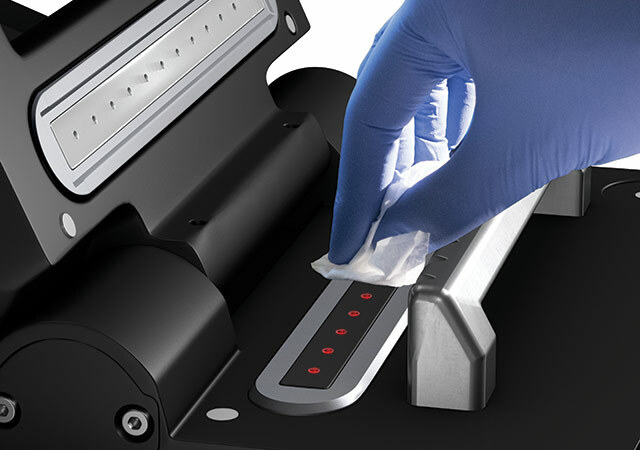 A simple swipe with a KimWipe™ makes sample cleaning a breeze. Patented Sample Compression Technology™ with guaranteed fixed path lengths allows for unmatched accuracy and precision. Independent from surface tension. Lifetime accuracy guaranteed. 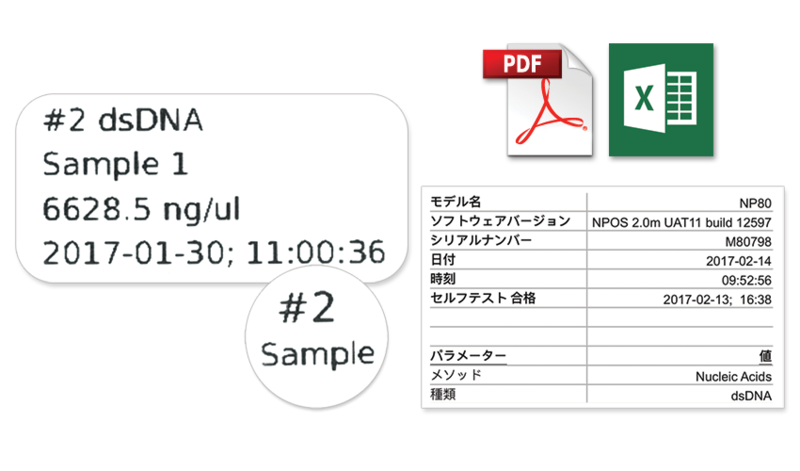 Reliably analyze up to 12 samples per run over a wide concentration range (2 to 8,000 ng/µl for dsDNA). In comparison to other technologies, the NanoPhotometer® N120 also provides trustworthy data for the accurate determination of 260/280 and 260/230 ratios. Blank Control™ and Sample Control™ monitor the entire measurement process and will highlight readings that are not within the expected purity range. NPOS Operating System: intuitive graphical user interfaces (GUI) providing one-step method access, pre-programmed and customizable applications based on the ultimate level of data security. Import and export of sample IDs from Excel files is available for fast and automated sample mapping. 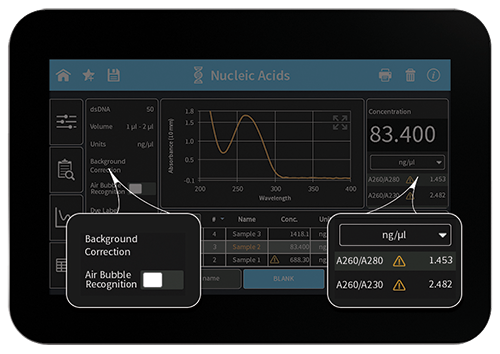 Control your NanoPhotometer® via touchscreen/tablet/computer. 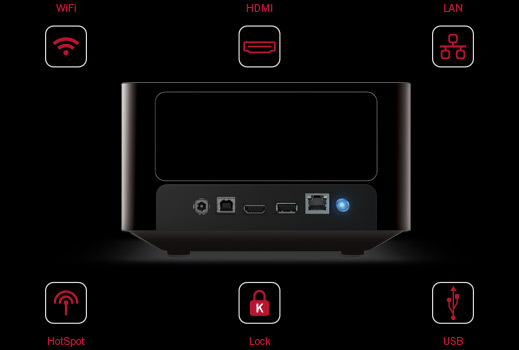 Equipped with WiFi, USB A/B, HDMI, and LAN interface connections. Front USB flash drive port for quick and easy data transfer. Define and store your own data and methods and retrieve them through the NanoPhotometer® Network Drive. 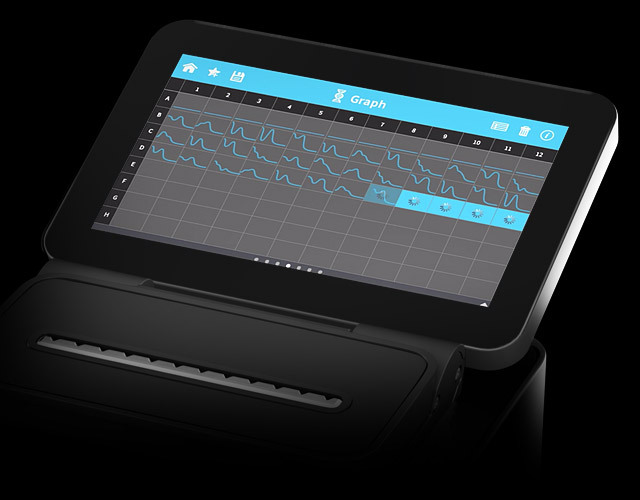 Optional connection and control via LIMS is also available. True Path Technology™ covers the extensive dynamic range with two precisely defined path lengths. The sealed mechanical setup has two fixed anchor points that are not changing over the lifetime of the instrument. No recalibration is necessary. 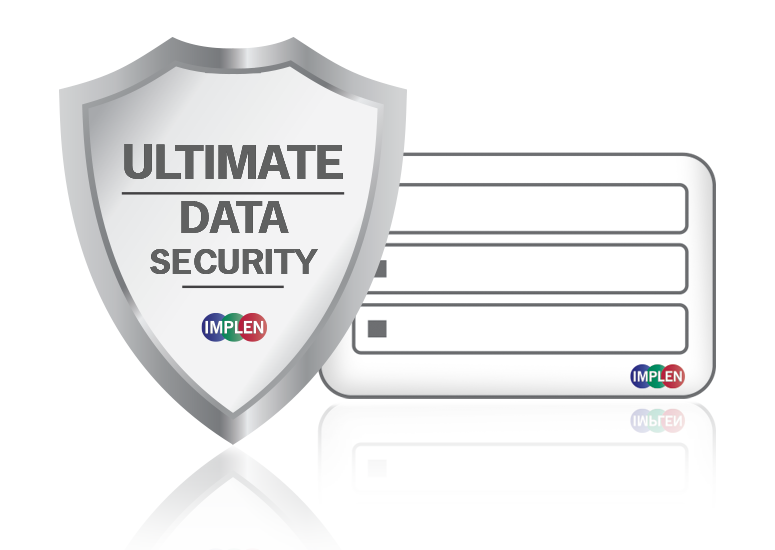 Implen guarantees lifetime accuracy. 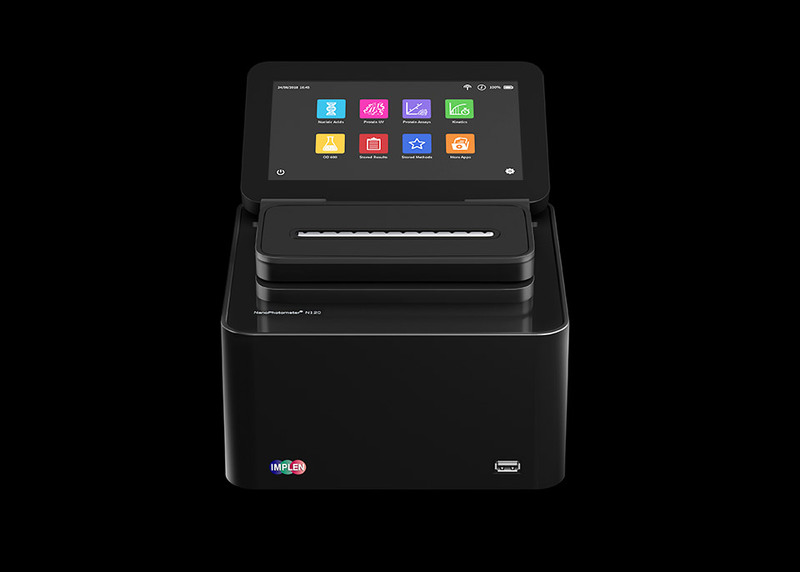 Multi sample spectroscopy can now be taken anywhere with the small size of 20x20x12 cm and from 5.0 - 5.2 kg depending on configuration. The optional integrated battery pack provides up to 3 hours of stand-alone battery powered operation. 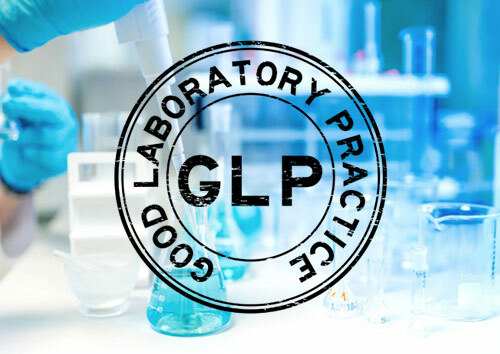 You can now work effortlessly under laminar flow hood/clean benches or share the device between different lab members or groups. Malware, viruses and ransomware are serious threats to instrumentation working on Android or Windows based platforms. 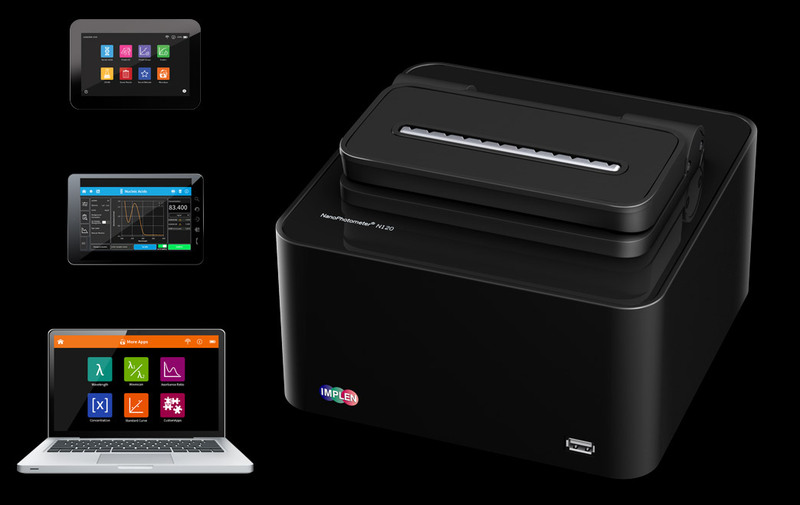 The proprietary NanoPhotometer® Operating System (NPOS) protects data in a secure environment immune to known malicious software. Whether running Apps on the NanoPhotometer/control device or downloading precious measurement results, your data is safe. 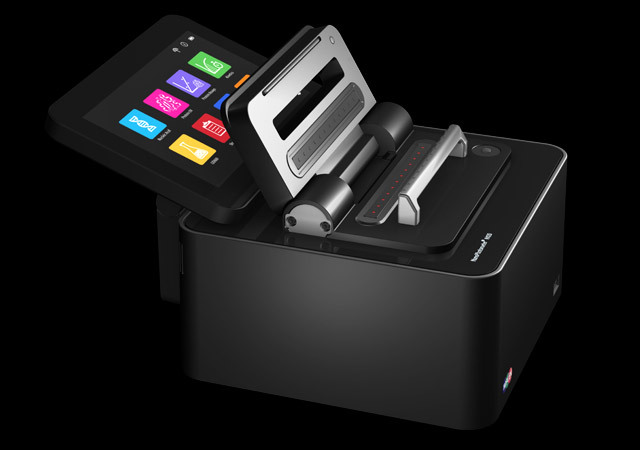 For additional security, the NanoPhotometer® does not allow browsing on the internet whilst providing safe access to control devices like computers, tablets and smart phones. Mobile and easy control of the NanoPhotometer® is possible via Wi-Fi from tablets (Android OS & iOS). Easy control from PCs (Windows & Mac) with fast and flexible connection options including Wi-Fi, USB and LAN.